OVERS!ZE by Victionary. Because Size Matters! Hong Kong based creative multidimensional workshop Viction:ary* has put together some of the most intriguing installations from around the world that go to prove that size really does matter! With ‘OVERS!ZE: The Mega Art and Installations’, Viction:ary now turns its focus to the play on the contrast between the size of the installation, the viewer and the public space proving that: ''The greater the distinction, the stronger the magnetism, forcing us to hold our eyes on to that something to assimilate the particulars, make sense of it and have it lodged in our minds.'' Hosting works from some of the world's most active big thinkers, OVERS!ZE showcases how a humble notion such as size can be transformed into a delightful tool able to reconstruct our minds whilst taking us back to our childhoods where everything was so much larger than us. 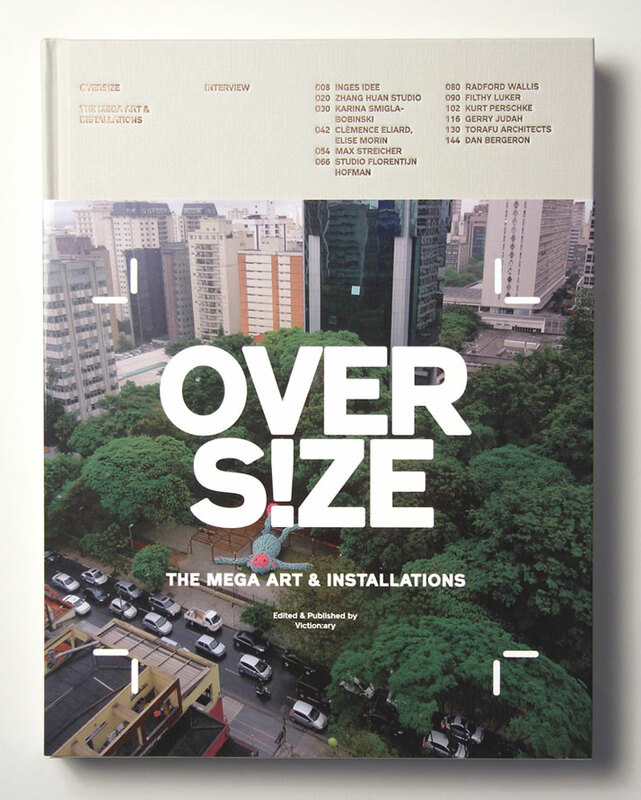 OVERS!ZE: The Mega Art & Installations, book cover, photo © Viction:ary. ‘RedBall Project’ by Kurt Perschke. Photo © RedBall Project. The book is divided into two sections: The GALLERY section which features the monumental sculptures and installations of 40 talented artists and the INTERVIEW section, where 12 of them, Kurt Perschke (US), Inges Idee (DE), Max Streicher (CA) and Florentijn Hofman (NE) amongst others, talk about their work and the perception of size comparative to public space as they present some of their OVERS!ZED projects. 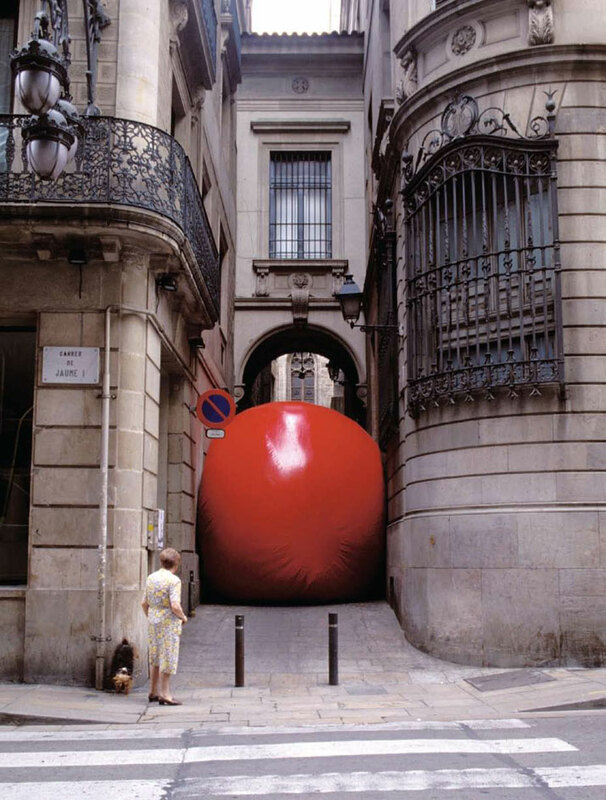 Placing his 15-foot inflatable ball in various unexpected locations around the world including California, Perth, Abu Dhabi, Taipei, Toronto, Chicago, Sydney and Barcelona, New York artist Kurt Perschke’s ‘RedBall Project’ acts as a catalyst for everyday new encounters between viewers in a magnetic, playful, and charismatic way. 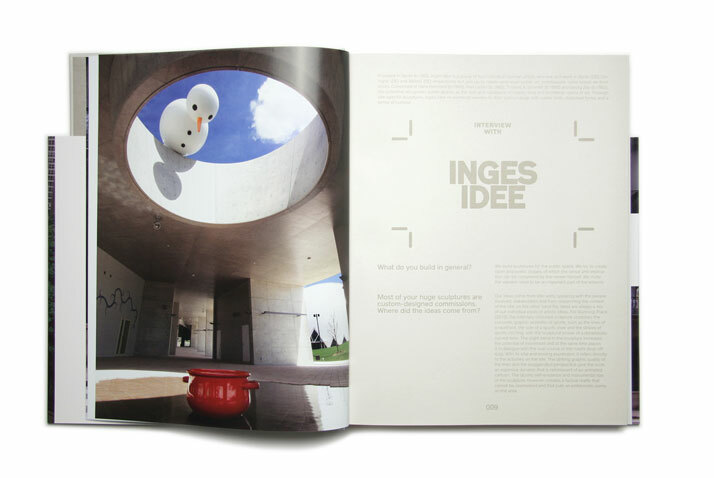 Inges Idee, the Berlin based group comprising four individual artists, presents their ‘From Above’ sculpture (Aichi, EXPo 2005 Commemorative Park, Japan) where a huge snowman leans over the large circular opening of the newly built Global Center gazing down to where his hat has fallen. With a subtle sense of humour, Inges Idee refers concretely to the specific architectonic composition in its attempt to connect viewers to their surroundings. 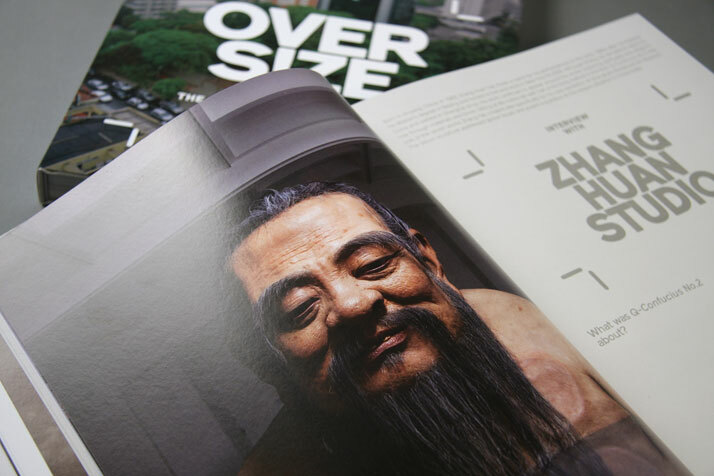 With its custom-made piece produced exclusively for China's Rockbund Art Museum (RAM), the Zhang Huan Studio’s Q-Confucius No.2 sculpture embodies a statement about contemporary spiritual values and religious beliefs in relation to the rapid economic and societal changes taking place in China. From Above by Inges Idee for Aichi, EXPo 2005 Commemorative Park, Japan. Photo © Kei Okano. Picture of the project featured inside the OVERS!ZE book © Viction:ary. Q Confucius No.2 by Zhang Huan Studio. Photo © Viction:ary. 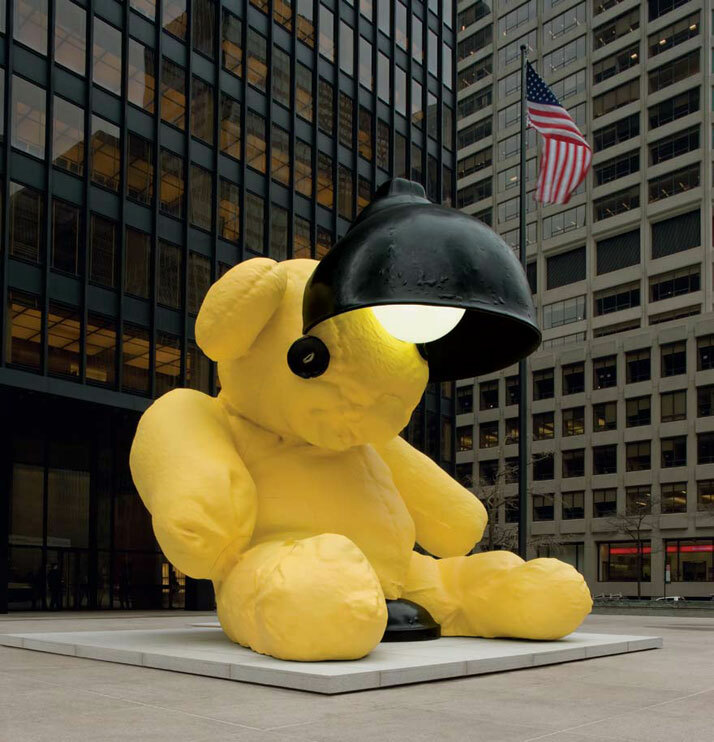 Urs Fischer / Untitled (Lamp/Bear), 2005-6 Edition 1, Seagram Plaza, New York (US). Edition 2, Home of Amalia Dayan and Adam Lindemann, Montauk, New York (US) Cast bronze, epoxy primer, urethane paint, acrylic polyurethane topcoat, acrylic glass, gas discharge lamp, stainless-steel framework 7 x 6.5 x 7.5 metres. Special credits: Galerie Eva Presenhuber, Zurich. 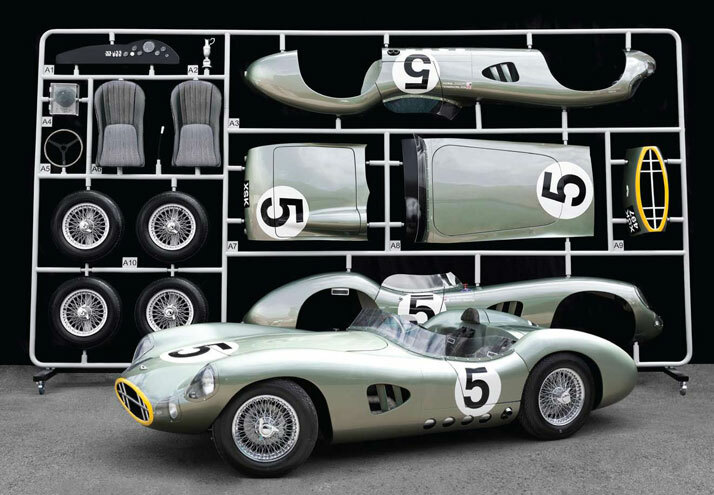 Aston Martin DBR1 'AirFix' by Evanta Motor Company, 2012 Hertfordshire (UK). Fibreglass / kevlar shell / handcrafted aluminium panels over superleggera frame- work, new or fully reconditioned parts, etc. 3.4 x 6.35 metres. Photo © Richard Pardon Photography. 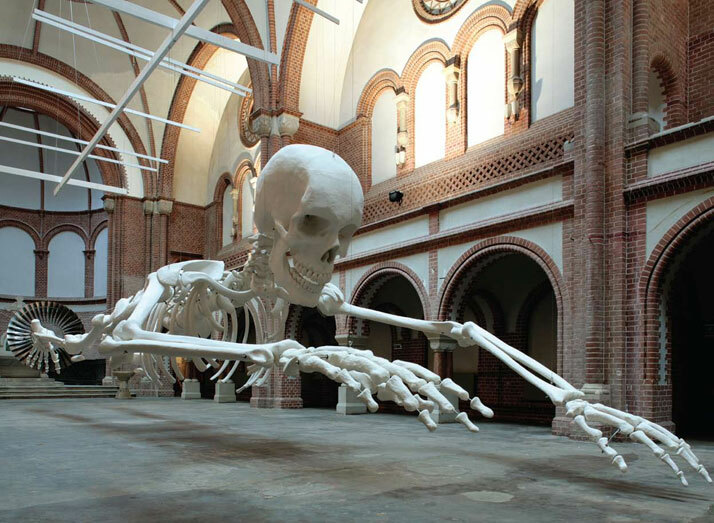 Dutchman Florentijn Hofman is renowned around the world for his humourous sculptures. 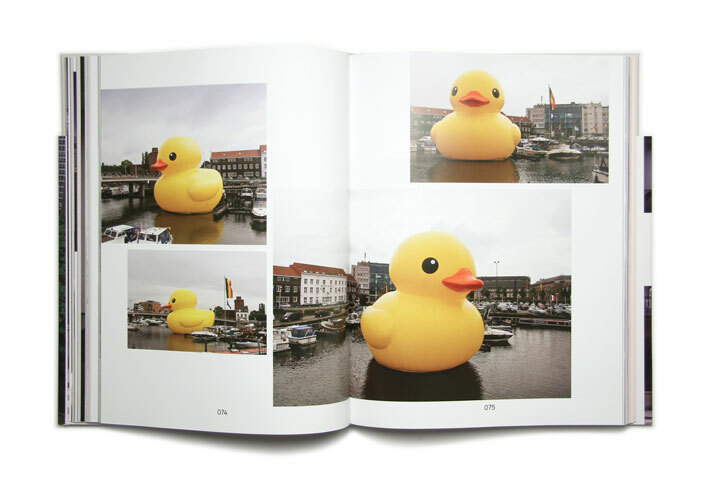 His 26-metre-high yellow rubber duck that has been showcased in Auckland, Sao Paulo and Osaka fulfils Hofman’s aim which is to instigate conversation amongst anyone and everyone who comes across his work. The Radford Wallis Design Studio’s contribution to the publication was to divide a vast floor into four smaller sections which the designers achieved by enormously scaling up four common stationery items and placing them accordingly within the space. The Antwerp based Studio Job once again show us their love for precious metals, presenting the Silver Ware installation commissioned by Bisazza where eight domestic colossal-sized objects were completely coated in white gold mosaic. Always amusing and disobedient, New York based Sagmeister & Walsh are featured for their ‘Everybody always thinks they are right’ project commissioned by the Scottish Government where six 10-metre high white angry monkeys were placed in six different cities throughout Scotland as part of the Six Cities Festival. The Japanese studio Nendo naturally could not be excluded from this edition. Their installation for internationally renowned milliner Hirata Akio is a mesmerising compilation of 4000 mass-produced non-woven fabric ''ghost hats'' that create a strong antithesis to Hirata’s carefully handmade hats. Rubber Duck by Studio Florentijn Hofman. 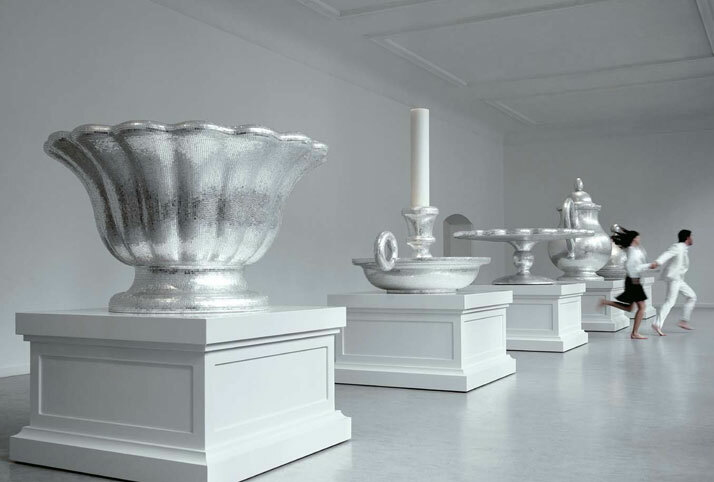 Studio Job, Silver Ware, 2007-8 Milan (IT), New York (US). 24K white gold mosaic (Basket) 1 x 1.75 x 1.75; (Candle holder w/candle) 1.92 x 1.66 X 1.4; (Cake platter) 0.76 x 2 x 2; (Teapot) 1.86 X 2 x 1.14; (Dish cover) 1.17 x 1.89 x 1.89 metres. 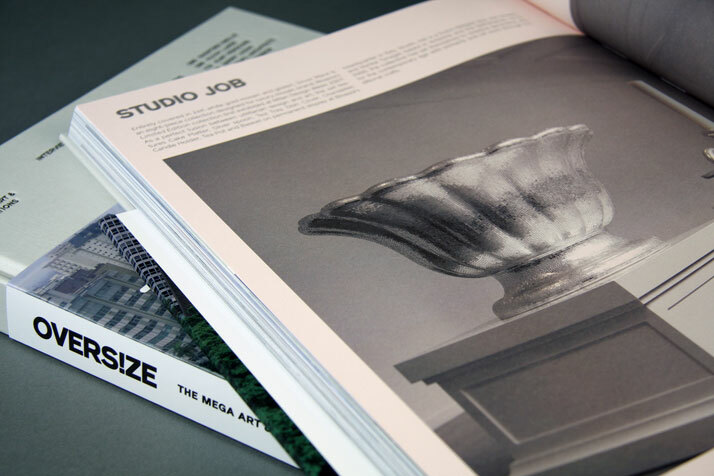 Picture of the Silver Ware project by Studio Job as featured inside the OVERS!ZE book © Viction:ary. Available at the official online-store of Viction:ary. * Established by the creative multi-dimensional 'Viction' workshop, Viction:ary places an emphasis on the strength of collaborative efforts in the area of visual communication welcoming creative talents from all over the world to share their truest spirits. 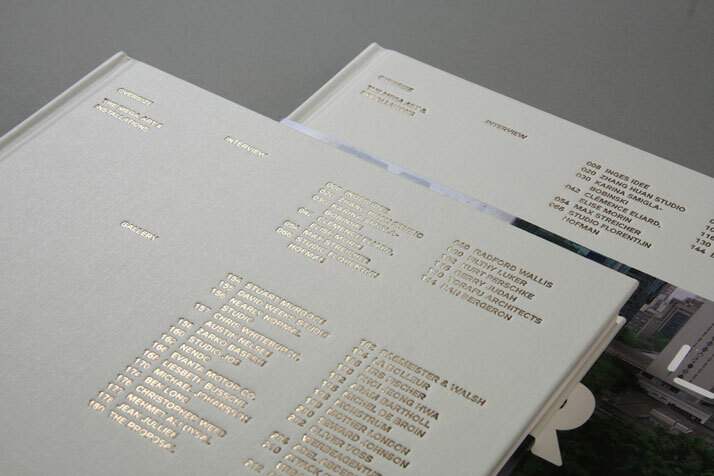 Founded by Victor Cheung in Hong Kong in 2001, Viction Workshop Ltd provides sophisticated and innovative design solutions whilst creating high quality publications focusing on graphics and visual communications. Since its founding, Viction:ary has built a portfolio of over 60 publications, available worldwide. 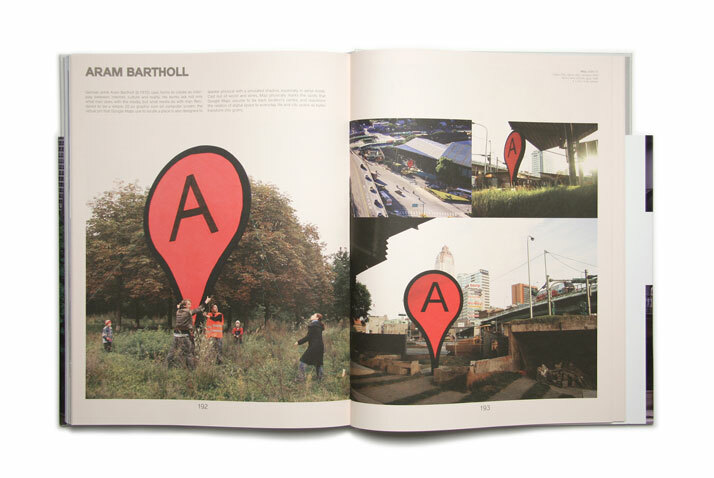 Map 2006-2010 by Aram Bartholl. Airplanes, felt, aluminium, metal 4 x 27 x 5 metres Collection of Budi Tek Photo © Cathy Carver. 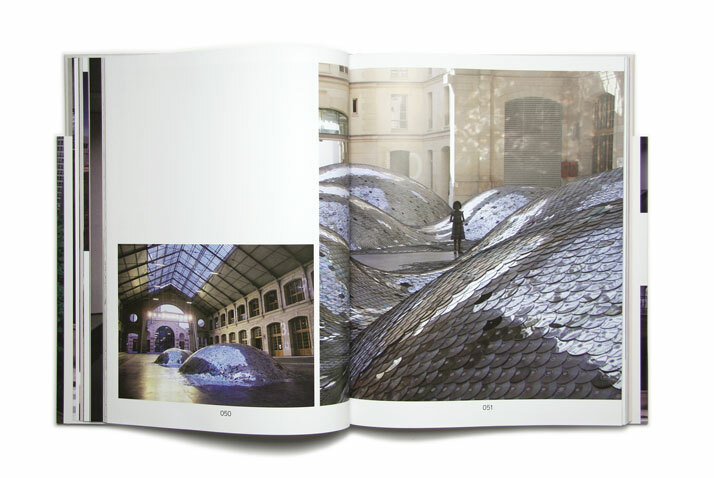 Section A: INTERVIEW: A Shining Waste Landscape by Clémence Eliard and Elise Morin.